What the HLS Going on with Content Security? Brightcove users now have the option to stream encrypted on-demand video content to Apple iOS devices thanks to our latest Video Cloud release. Video Cloud now offers HTTP Live Streaming (HLS) Encryption, the only native iOS-supported encryption format for delivering live and on-demand video to the iPad, iPhone, iPod Touch, as well as Apple TV. 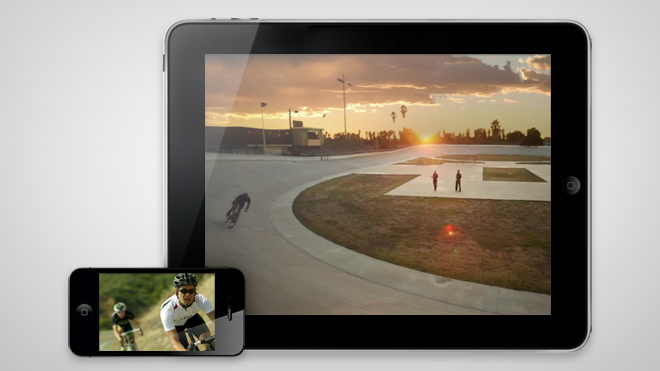 The latest version of Brightcove Video Cloud supports streaming of encrypted content to iOS devices. HLS Encryption provides users with a moderate level of security that is suitable for applications such as music videos, news or corporate videos and conferences. In the case of corporate communications in particular, organizations can now make sensitive content, such as executive presentations, all-hands meetings, training and new internal product demonstrations, available for viewing on iOS devices held only by designated audiences. This is increasingly important as iOS products continue to gain broad acceptance for enterprise applications and the workforce is typically using a single smartphone for personal and professional use. To a finer point, iPads are dominating the enterprise market according to a report from enterprise mobility solutions provider Good Technology. In Q3 2011, iPad and iPad2 comprised more than 96 percent of total tablet activations. Meanwhile, Good reported that iPhones accounted for 61 percent of all smartphone activations. Those figures explain why iOS products in general made up more than 70 percent of all Q3 device activations, according to Good’s data, and why the issue of content security for those devices takes on even greater importance. HLS Encryption is actually a combination of Apple’s HLS format and the AES-128 encryption standard that is commonly found on Wi-Fi networks. Working together, HLS and AES-128 break down video files into 10-second chunks, each of which is encrypted before streaming. A keyfile and associated playlist are sent securely via SSL to each client device, and the video files are then streamed separately to the device where they are decoded for viewing. While iOS devices support HLS Encryption, others, such as Android, work with RTMPe or more advanced security options, such as Adobe Flash Access. This begs the obvious question: If you’re trying to deliver encrypted content to multiple mobile formats supporting different types of encryption, how do you effectively manage what could potentially be a confusing and perhaps overwhelming process? Brightcove has streamlined and simplified the process, enabling Video Cloud - if the option has been activated - to automatically manage which encryption format(s) to use based upon the device(s) that are being delivered to. The issue of online video content security is a very complex one that is constantly evolving. Brightcove is fiercely dedicated not only to helping customers deliver video with the level and type of security that they need, but also aiding them in understanding the myriad of choices and how they work. To that end, we’ve developed a free whitepaper, “Online Video Security 101,” which was written to help organizations navigate the video security maze. Beyond HLS Encryption, the paper dives into the broad range of content protection methods that are available to keep your video secure. This includes DRM, authentication and watermarking among others; topics that will also be explored in future posts here on the Brightcove Blog. We also have a wealth of useful information available on our Knowledge Base and Support Documentation sites, which we encourage you to take advantage of.